Prominent & Leading Authorized Retail Dealer from Mumbai, we offer hp proliant server 8gb ddr3 ram, hp proliant server 32gb ddr3 ram, hp 16gb proliant server ddr3 ram, hp proliant server ddr3 8gb ram, hp proliant server ddr3 4gb ram and hp 8gb single rank x4 ddr4 ram. We are leading supplier of HP Proliant Server 8GB DDR3 RAM. Manufacturer Part: 669324-B21 genuine HP product with a HP serial number and logo. We do not sell 3rd party HP memory. We are leading manufacturer of HP Proliant Server 32GB DDR3 RAM. Manufacturer Part: 647903-B21 genuine HP product with a HP serial number and logo. We do not sell 3rd party HP memory. We provide to our client a wide range of HP 16GB Proliant Server DDR3 RAM. Our Part 713985-B21 is guaranteed genuine HP product with a HP serial number and logo. We do not sell 3rd party HP memory. We are leading manufacturer of HP Proliant Server DDR3 8GB RAM. Manufacturer Part# 731765-B21 genuine HP product with a HP serial number and logo. We do not sell 3rd party HP memory. We are leading manufacturer of HP Proliant Server DDR3 4GB RAM. Manufacturer Part: 647893-B21 genuine HP product with a HP serial number and logo. We do not sell 3rd party HP memory. 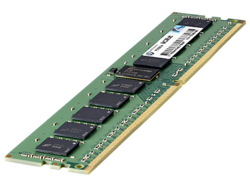 We offer to our client a wide range of HP 8GB Single Rank x4 DDR4 RAM. 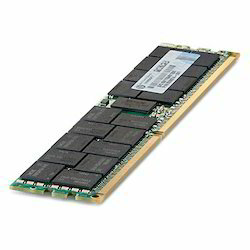 We offer to our client a wide range of HP 16GB Dual Rank x4 DDR4 RAM. (DDR4-2133) Registered CAS-15 Memory Kit. We offer to our client a wide range of HP Proliant Server 8 Gb DDR3 RAM. Manufacturer Part# 690802-B21 genuine HP product with a HP serial number and logo. We do not sell 3rd party HP memory. We offer to our client a wide range of HP 32GB 4Rx4 PC4 RAM. Note: Our Part# 726722-B21 is guaranteed genuine HP product with a HP serial number and logo. We do not sell 3rd party HP memory. Looking for HP Server RAM ?